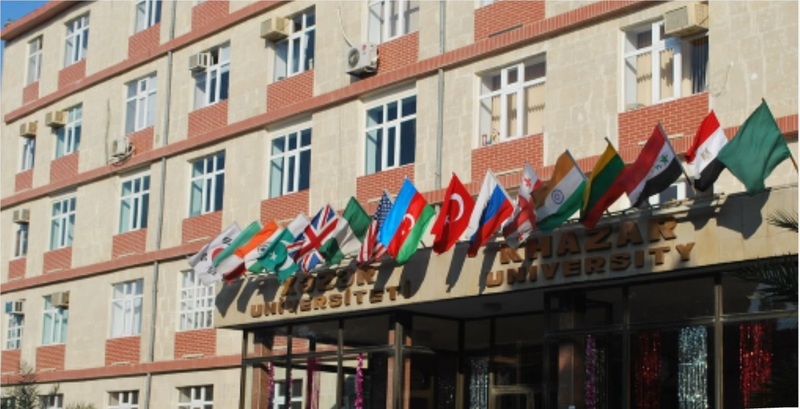 Welcome to Khazar University and the International Affairs Office! The International Affairs Office is the first and the main point of contact for prospective international students. The International Affairs Office serves all incoming and currently enrolled international students at the university. Khazar University is the first university in Azerbaijan composed of multiple independent schools united by the same academic policy and principles, which offer a wide scope of diverse majors in Humanities and Social Sciences, Engineering and Applied Sciences, Economics, Management and Business Administration, and Education. © 2008-2015 This slte is managed by Press service and Public information and relations department of the Ministry of Foreign Affairs of the Republic of Azerbaijan.